📍 Carrier Dome – Syracuse, N.Y.
🏀⏰ Tipoff Time – 8 p.m.
• Clemson looks for its fifth victory over Syracuse in eight tries all time. • The Tigers will look to snap a two-game skid against the Orange. • Shelton Mitchell –– 5.0 points and 5.5 assists per game in 36.5 minutes per contest. • Marcquise Reed –– 15.0 points, 4.0 assists and 2.0 steals per contest on 11-for-17 shooting in 51 total minutes (25.5 minutes per contest). • David Skara –– Played in one game in 2018 and played 11 minutes off the bench with two rebounds. • Elijah Thomas –– 10.5 points, 4.0 rebounds, 1.5 blocks and 1.5 steals per game in 21.5 minutes per contest. • Marcquise Reed is top 10 in six different statistical categories in the ACC this season, including fourth in scoring (19.6 points per game). • He is 10th in field goal percentage, eighth in assists per game, second in free throw percentage, sixth in steals per game and sixth in minutes per contest. 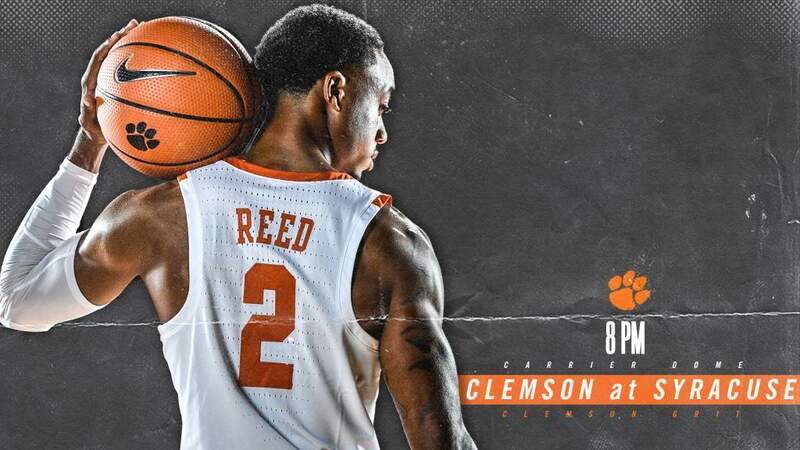 • Reed is just three points shy of passing former teammate Donte Grantham for 33rd on the all-time scoring list in Clemson history (1,098 in Clemson career). 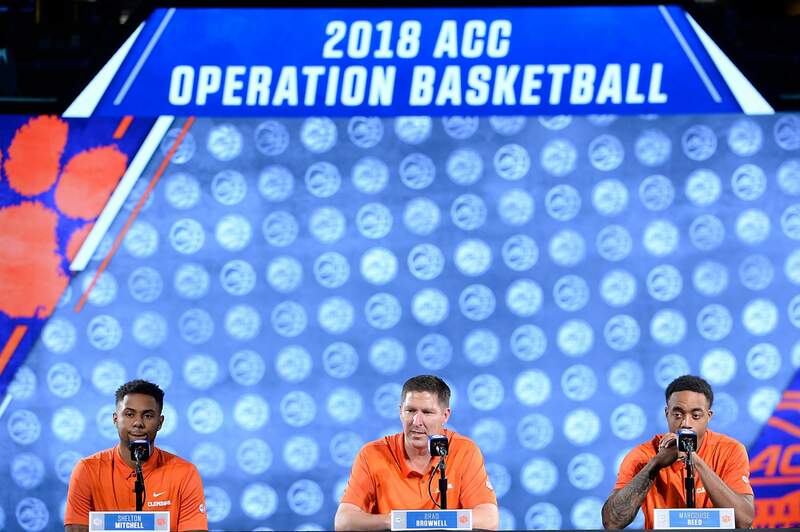 • Elijah Thomas is one of just nine players in Clemson history to amass at least 700 points, 450 rebounds and 125 blocks in a career.